In this poem, Frost uses autumn as a symbol for impending death. It appears that someone close to him is nearing the end of his or her life, and this imminent death is cause for Frost to reflect on his own mortality. In addition to the ABCB rhyming scheme, Frost incorporates alliteration, which works nicely. The phrases “garden ground,” “withered weeds,” “leaf that lingered,” and “disturbed, I doubt not” instill a somber musicality to the poem that evokes a feeling of inner reflection. I have often walked alone in the fall, smelling the dead leaves and listening to the wind rustling the bare branches of trees. At these times, I am very aware of the fragility of life, along with the promise of spring and rebirth. It is the promise of rebirth that offers a ray of hope in this otherwise sad poem. Frost uses the aster flower as a symbol for spring and rebirth. Death is just part of the cycle of life, but the cycle continues and from death comes new growth. This is a fairly long poem, and I debated whether to include the entire text here. I decided to include some excerpts and a link to the entire text. Click here to read the poem on the Edgar Allan Poe Society website. This is a poem about being haunted by the loss of a loved one, not unlike “Annabel Lee” or “The Raven.” It is set in October and incorporates seasonal metaphors symbolizing death, such as withering leaves, ashen skies, and cypress trees. But for me, the most intriguing aspect of this dark poem is the exploration of the subconscious mind. The protagonist describes travelling with his Psyche, or Soul, through the boreal regions of the north. As I read this, I envision the frozen northlands, the Aurora Borealis, and vast expanses of wilderness coated with ice and frost. These represent the speaker’s subconscious mind, where memories and dreams lie frozen in an area that is difficult to reach. He enters this realm with his Psyche, the part of his consciousness connected with the realm of dreams, imagination, and memory. There is also an active volcano, which symbolizes fiery and painful passion and emotion surging up to the surface from deep within. It’s an incredibly powerful image and captures the deep sorrow that the protagonist feels. While in the deepest recesses of the subconscious, Poe describes the appearance of the goddess Astarte. Astarte is a goddess of fertility and sexuality, often associated with Venus. I interpret this as the protagonist envisioning the soul of his departed love having merged and become a part of the divine feminine. It’s an interesting idea, that male souls emanate and return to the masculine aspect of the godhead, while the female souls emanate and return to the feminine aspect of the divine. It is almost like a dualistic version of Plotinus’s theory of divine emanation. I suspect this is something I will be meditating on for a while. Overall, this is a beautifully crafted and evocative poem that works on many levels for me. While I don’t think it’s as popular as some of Poe’s other poems, I feel it is as good if not better. My garden is nigh bare of rosy fruit. From where the water sluices out a grave. The mystic nourishment to give them vigour? Time swallows up our life, O ruthless rigour! Grows on our blood the stronger and the bigger! So the first thing I would like to discuss regarding this poem is the title, which in French is “L’Ennemi.” I think this is one of those times where something key is lost in translation, because the word “ennemi” seems too similar to ennui for coincidence, in my opinion, especially considering how prominent ennui is in many of Baudelaire’s poems. I should note that in my version of The Flowers of Evil, the translator, Robert Lowell, translates the title as ‘The Ruined Garden,” which I feel is a less accurate translation, at least regarding the title of the poem. The sonnet begins with Baudelaire describing his youth, which is depicted as troubled and painful. The garden is symbolic of his mind and the source of his artistic expression. But this garden was not able to produce when he was young. It was only later in life that the “new flowers,” or poems, grew from the ailing and damaged garden bed. It is in the last stanza that the mysterious enemy appears, described as “the dark foe that nibbles our heart’s root.” I believe that the enemy is ennui, slowly eating away at the poet’s heart. He knows he has “reached the Autumn” of his life and that he must express himself now or he never will. There is a palpable sense of urgency in his words. But ennui is ever there, gnawing at him, seeking to destroy his creative urge. For those of you who are interested, there is a great website that has multiple translations of this poem, as well as the original French. I encourage you to read some of the other translations to get a better feel of this great sonnet. Cheers! Today is the fall equinox, so I thought this would be an appropriate poem. I really love the imagery in this poem. For me, it expresses the bounty of the harvest. But even more important, it hints at the promise of future growth. Within the harvest are the seeds for future crops. As Autumn flies over the bleak hills to make way for Winter, he leaves behind “his golden load”: an abundance of food, seeds for the Spring, and a feeling of joyous celebration. May this fall season fill your life with happiness and abundance!! For they are better for her praise. This poem expresses exactly how I am feeling as I listen to the steady wind outside my window. It’s a strange blend of sadness and wonder. Although Nature is in her final stages, shaking off the last vestiges of life, there is the promise of renewal. Come spring, the cycle will begin anew. 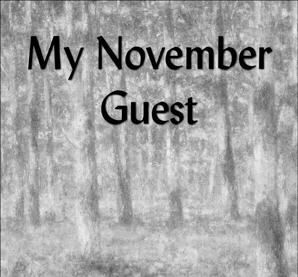 Like Frost, it was “not yesterday that I learned to know the love of bare November days.” This is something I have always felt, a feeling instilled in me as a child camping and exploring in the woods of the northeast. I’m grateful to live in a place where I can experience the seasons and witness Nature’s cycles each year. There is something spiritual about it that is difficult to express, although Robert Frost does it quite well. 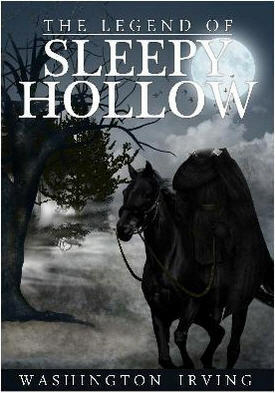 For me, few stories capture the spirit of the Halloween season quite like The Legend of Sleepy Hollow. We know the story and most likely have read it many times. Traveling home alone, lanky Ichabod Crane encounters the spectral rider who chases him through the woods, resulting in Crane’s disappearance. Still, no matter how many times you read it, it still sparks the imagination and brings to life all the imagery and magic that is a part of this season. The last time I had read this story, I was living in Miami. Now that I live in the mountains of North Carolina, the imagery is much more immediate. Every year I experience the sights, sounds, and smells of autumn, when the harvest is done and the trees shed their leaves, the symbolic dying of nature making way for the rebirth associated with spring. It was, as I have said, a fine autumnal day; the sky was clear and serene, and nature wore that rich and golden livery which we always associate with the idea of abundance. 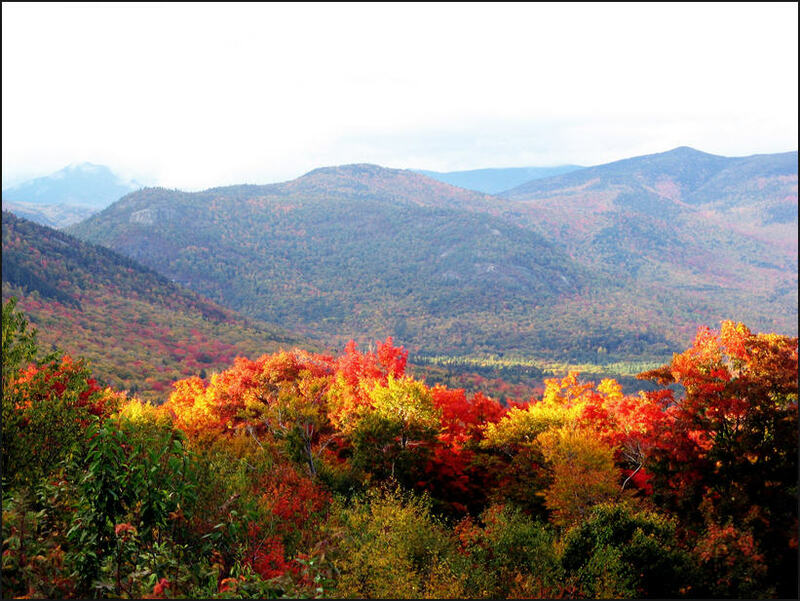 The forests had put on their sober brown and yellow, while some trees of the tenderer kind had been nipped by the frost into brilliant dyes of orange, purple, and scarlet. Often, during autumn, I like to walk in the evening, listening to the crunch of dried leaves beneath my feel and looking at the skeletal trees silhouetted against a dark sky. This always thrills me in a way that is difficult to explain. There is just something mysterious about trees at night, and Irving captures that beautifully. He was, moreover, approaching the very place where many of the scenes of the ghost stories had been laid. In the center of the road stood an enormous tulip-tree, which towered like a giant above all the other trees of the neighborhood, and formed a kind of landmark. Its limbs were gnarled and fantastic, large enough to form trunks for ordinary trees, twisting down almost to the earth, and rising again into the air. One of the things that stood out for me in this reading was how tales actually become part of one’s psyche. It is almost like the stories we hear help define how we perceive reality. The tales that Ichabod hears actually mesh with his consciousness and directly impacts his sense of the world around him. All these tales, told in that drowsy undertone with which men talk in the dark, the countenances of the listeners only now and then receiving a casual gleam from the glare of a pipe, sank deep in the mind of Ichabod. I had a similar experience as a kid. There was a legend that we all told about Bloody Mary. The legend was, if you do into the bathroom at midnight and gaze into the mirror with all the lights out and whisper “Bloody Mary” 100 times, her bloody face would appear to you in the mirror. Well, I of course had to try it. The crazy thing is, I swear I saw the face. Looking back, I can see how my perception was influenced by the tales we told each other as kids. This is something that I think about often: how art, stories, and mythology influence how we interpret our own realities. Stories have definitely helped shape who I am and how I view the world, and as I continue reading, I hope that my view of the world will continue to expand.